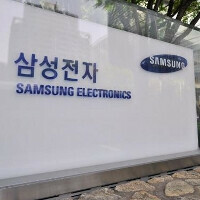 Samsung has filed with the USPTO to trademark seven new names. Among the names that the Korean based manufacturer is looking to protect is the Samsung Micro, Mobile Samsung 5G, Samsung Fit, Samsung Micro, Samsung Expo, Samsung Go, Samsung Pro and the S MUSICIAN. Let's put on our thinking cap and see what we can come up with in trying to match the name with some device, accessory or feature. The Samsung 5G would seem to have something to do with the company's testing of a 5G network back in May that resulted in data speeds of 1Gbps and an announcement from the tech giant that the new standard is expected to be ready in 2020. The S MUSICIAN could be an app that allows users to create music or it could be a new phone that has music-centric features. The Samsung Fit sounds like a health related app, possibly some accessory that will monitor your heart rate using Bluetooth LE. You never know when or if you will see these names in use by Samsung. If you have your own interpretation as to the kind of device each new trademark might end up on, drop us your guess in the box below. i think Samsung should register another name - "too many"
s musician. a soft(bloat)ware where you can manipulate your music. if im right, then samsung is lame. More likely a ripoff of garage band. And you think garage band was the first digital audio workstation??? Samsung expo? New name for Samsung apps? I think Samsung should register both iGalaxy and iSammy, just for fun at their biggest troll so far. Go is already associated with Xperia. Well, maybe not. Sony devices seem to be less popular. The latest waterproof phone is S4 Active, so i guess the next waterproof phone from samsung is Samsung Go. just like Xperia Active and Xperia Go. Maybe Samsung just realize that Sony names, sounds better than XCover and Rugby. how about "samsung auto-overclock" ?? You can do the same thing with any phone if its rooted. You will get worse battery life but it will work. Yeah I know, I just despise such a company that does this thing with no shame (how about the fans that support this company? hmm). I think Samsung could use a new marketing mantra: Here at Samsung, we're dedicated to seeing what sticks to the walls. Good decision Samsung to released this patents ahead before Apple. Or else, that sore loser company will file a case again and claim that you copied these those just to gain money from you. Anyways, these designs looks Good ah. Just can't wait for the S5 and Note 3. Way to go Sammy!